Taltarni produce some very approachable and generous wines with their pink hued Brut Taché being one of Australia’s most popular sparkling rosé wines. The 2013 is like taking a sip of Australia in the Springtime! 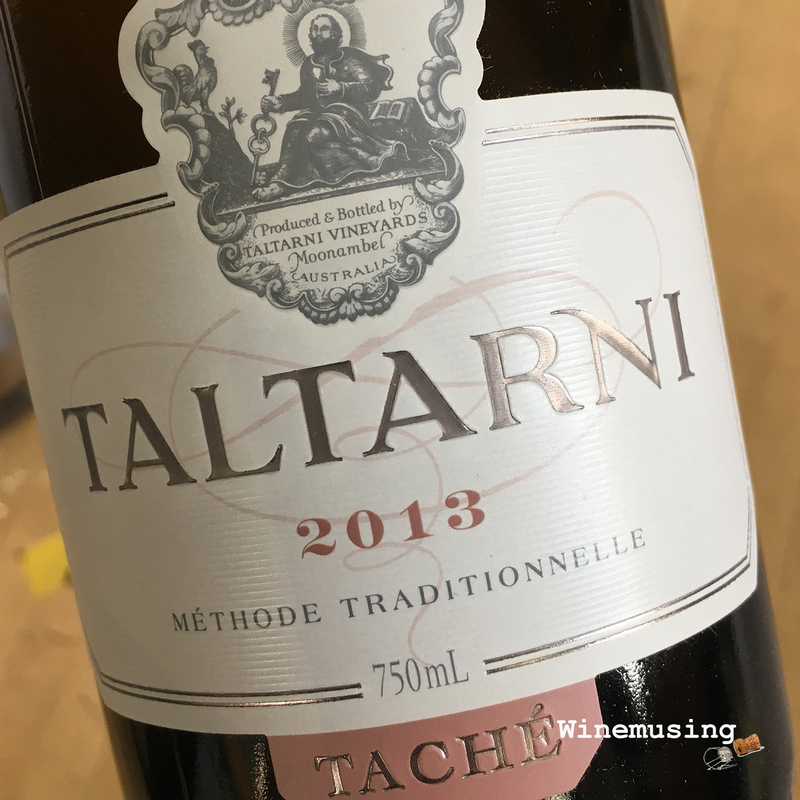 After all, it has been produced from grapes from not only Victoria, Taltarni’s home state, but also South Australia and Tasmania. A classic blend of the Champagne trio, Chardonnay, Pinot Noir and Pinot Meunier, the name Taché comes from the French term for adding colour by adding red wine. A lovely bronzed salmon colour, the aromas of strawberry shortcake topped with more luscious and fresh strawberries greet you as you lift the glass. The Taché has a texture that brings a smile to your face. It is rich and lush but retains a fresh vivacity that lasts on the balanced finish. It is a good fizz to enjoy all year round- with or without food. It is just as good sitting beside a fire as it is sitting on a beach with a picnic. Just add your choice of company!